Stop & Shop Weekly Ad September 14 - September 20, 2018. Family Pack Stock Up Event! 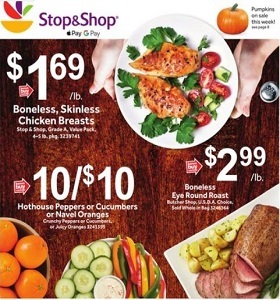 Stop & Shop Weekly Ad September 14 – September 20, 2018. Family Pack Stock Up Event! -2/$6 Kinder’s BBQ Sauce; 2/$7 Food Should Taste Good Tortilla Chips. Ctown Weekly Ad April 19 – April 25, 2019. Happy Easter!